Customers who treat themselves to a new RAV4 or RAV4 Hybrid Toyota lease will now enjoy a Sweet Suite of safety features including Dynamic Radar Cruise Control, Lane Departure Alert, Auto High Beams, a Pre-Collision System, and Pedestrian Detection. The 2016 Toyota RAV4 and RAV4 Hybrid have caused quite a stir in the world of new Toyota vehicles. The newest addition to the RAV4 lineup is streamlined, more athletic, and has a sportier design than previous models. A sport-tuned suspension and exceptional fuel ratings are just a few of the treats in store when you get a new RAV4 Toyota lease. The newest RAV4 and RAV4 Hybrid vehicles are the perfect vehicle for hauling families and friends in comfort. This five-passenger crossover has a huge interior and a sporting driving demeanor that pleases the passengers as well as the driver. Dynamic Torque Control All-Wheel Drive makes getting caught in a heavy rainstorm nothing more than a minor annoyance, even in heavy Miami traffic. Choose from four trim levels including the LE, XLE, Limited, and SE grade. LED lighting all around, improved exterior styling, and a shark fin antenna are just a few of the upgrades you’ll enjoy with the new RAV4 lineup. 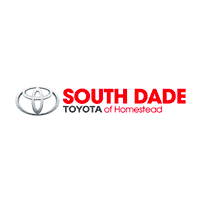 Here at South Dade Toyota of Homestead in Miami, we are excited to show you how we can get you into a brand-new RAV4 or RAV4 Hybrid with a Toyota lease. Go ahead and contact us right away to find out more. We’re looking forward to meeting you!